Colts quarterback Andrew Luck has been ruled out for next Monday night’s game against Tennessee, coach Chuck Pagano tells reporters. The Colts are still waiting for Luck to make his 2017 debut but publicly they have been insistent that he will play at some point. Over the weekend we learned that Luck is at least a month away from playing. Texans defensive lineman J.J. Watt is facing a lengthy recovery for his tibial plateau fracture, but the good news is that he did not suffer ligament damage, as Ian Rapoport of NFL.com hears (on Twitter). The Houston star will miss the remainder of the 2017 season, meaning that he will have missed 24 games over the past two regular seasons. Before that, Watt earned Pro Bowl trips and first-team All-Pro honors in every campaign from 2012-2015. Colts wide receiver Krishawn Hogan confirmed that an ACL tear is the reason behind his being placed on IR (Twitter link via Mike Chappell of CBS4). “‘I kind of knew it when it happened,” Hogan said of the injury. The UDFA out of Marian University was elevated from the Colts’ practice squad in late September and appeared in two games. He had practice buzz, so the Colts can be expected to circle back to him in the offseason. Colin Kaepernick‘s representatives reached out to the Titans after Marcus Mariota went down with a hamstring issue. 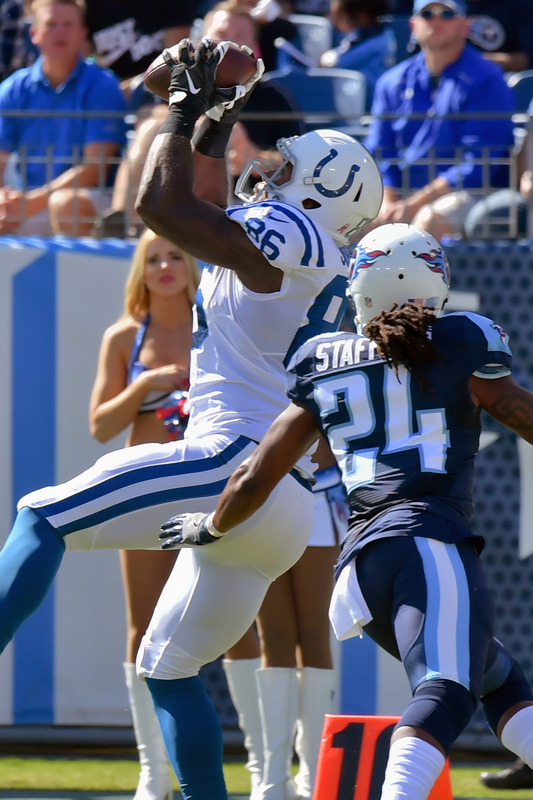 The Colts placed tight end Erik Swoope on injured reserve. To take his place, tight end Brandon Williams has been signed to the roster. Swoope underwent arthroscopic knee surgery this offseason, meaning that he’ll be unable to suit up for the season opener. However, that type of procedure is rarely a season ender, so it seems possible that he could return during the season. The latest iteration of the league’s IR rules permit teams to bring two players back from IR each season. Swoope, 25, appeared in all 16 games for the Colts last season. He finished out with 15 catches for 297 yards and one score. The Colts now have three tight ends on the roster in starter Jack Doyle, Williams, and reserve Darrell Daniels. In other news, the Colts have signed wide receiver Krishawn Hogan, nose tackle Joey Mbu, and offensive tackle Andrew Wylie to the practice squad.